PARENT EFFECTIVENESS TRAINING by three time Nobel Peace Prize Nominee, Dr Thomas Gordon, teaches skills and supports families in building more peaceful and loving relationships. P.E.T. is a course especially designed for families to learn a time-tested model of communication offering skills which enhance relationships with children and other important people in their lives. 1. Sunshine Coast – Dates: 8 x weekly sessions. 2. Milton, Brisbane – Dates: 4 x fortnightly Sundays. Register your name early to secure your place. Read more details of each course below. Parents want to get their needs met too. The challenge of ‘trying’ to be consistent, present a united front, and be forever tolerant. How to listen so children will feel heard and understood using ‘Active listening’ or listening with empathy. How to talk so children will respect your needs. Effective communication of your needs that really works. Other ways to prevent and influence change in unacceptable behaviour. Strategies for modifying the environment and reducing conflict. The inevitable conflicts. Who will win? Gaining cooperation and avoiding power struggles. The no-lose method. How it develops resilience in kids and reduces rebellion or resentment. Resolving value collisions with children, partner, friends & family members. Sessions: The course is 24 hours. The Milton course will be conducted over four Sundays (each fortnight) from 9am till 3pm. The Sunshine Coast course over 8 weekly sessions (3 hours each session). Classes are small and conducted in a friendly and relaxed environment. Individual coaching sessions are also available. Who would attend: You do not have to be a parent. P.E.T. is open and valuable to anyone who is involved in situations, both personal and professional, where effective interpersonal communication is vital. Where possible it is most beneficial for couples to attend. Each participant receives a workbook and a reference book ‘Parent Effectiveness Training: The Proven Program for Raising Responsible Children’ by Dr Thomas Gordon, and also a Certificate of Completion. To Book: Places are limited so book early. Contact Kathryn Tonges. Dates: 4 x fortnightly Sundays – dates to be confirmed. • Less stress and anxiety. • More fun in the family! Kathryn has conducted parenting courses for 38 years and coordinated a Family Support Program. She has taught from early childhood to tertiary level with a focus on Child Development and Effective Communication Skills. 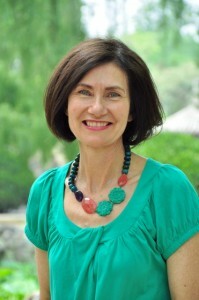 She has written blogs for Beijing Kids and Jing Magazines as well as Teach Starter. She is a parenting & life coach and is married with two adult sons and is now a doting grandparent of two. Kathryn’s presentation style is interactive, informative, motivational and personal. Read testimonials from parents. Her passion is helping parents to build more peaceful, loving relationships through improving their communication skills. Kathryn is co-author of ‘Slurping Soup and Other Confusions: true stories and activities to help third culture kids during transition’.